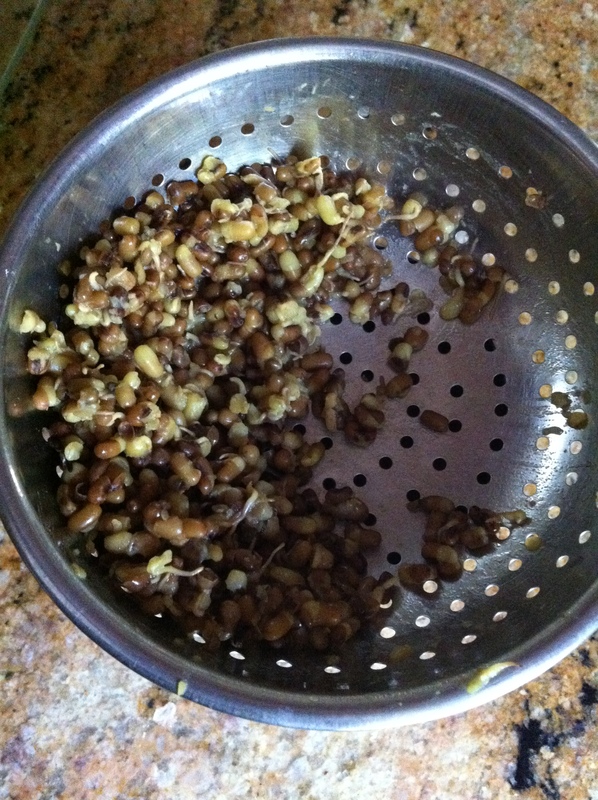 Sprouted lentils and beans are so good for you and are so delicious in taste. 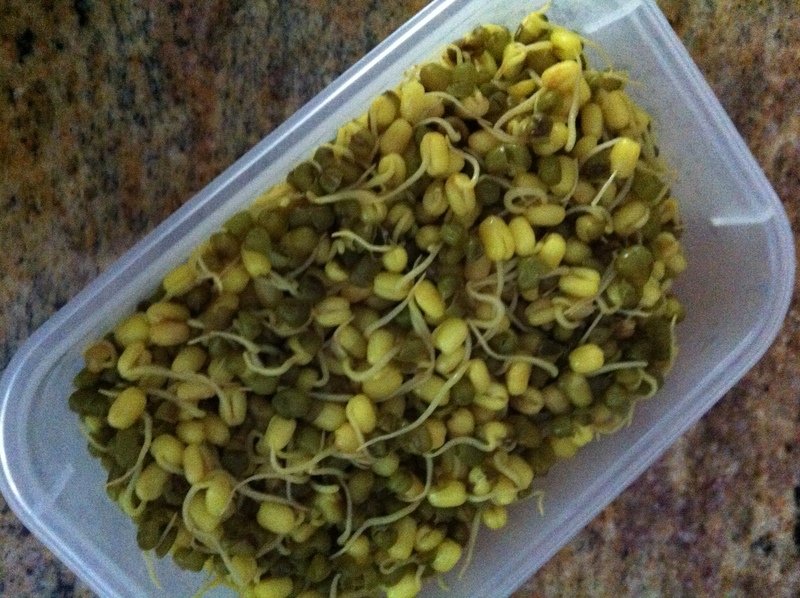 Today, I packed sprouted mung beans as my snack with a drizzle of some spices for some taste! Feel free to play around with what you add to it depending on what you want. 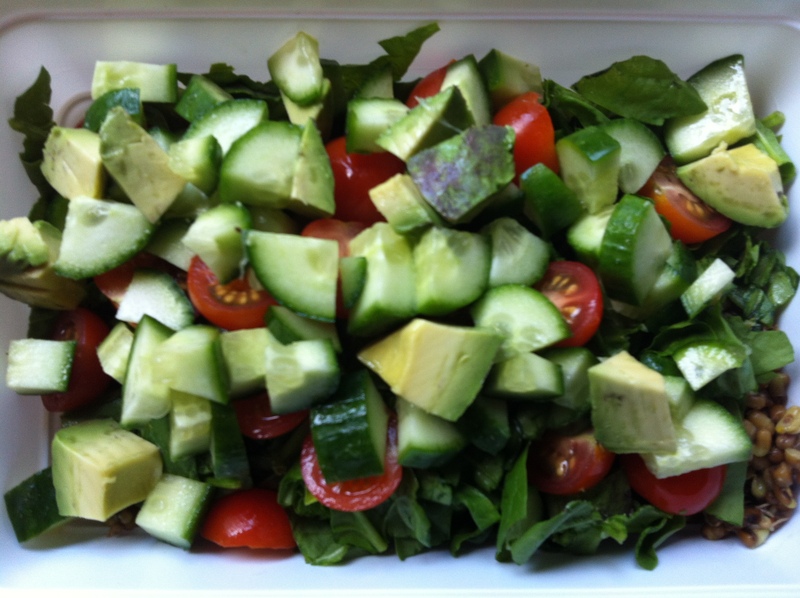 You can also use this as a side dish to one of your entrees or throw the sprouts into your salads/soups for some crunchiness and protein! 1. 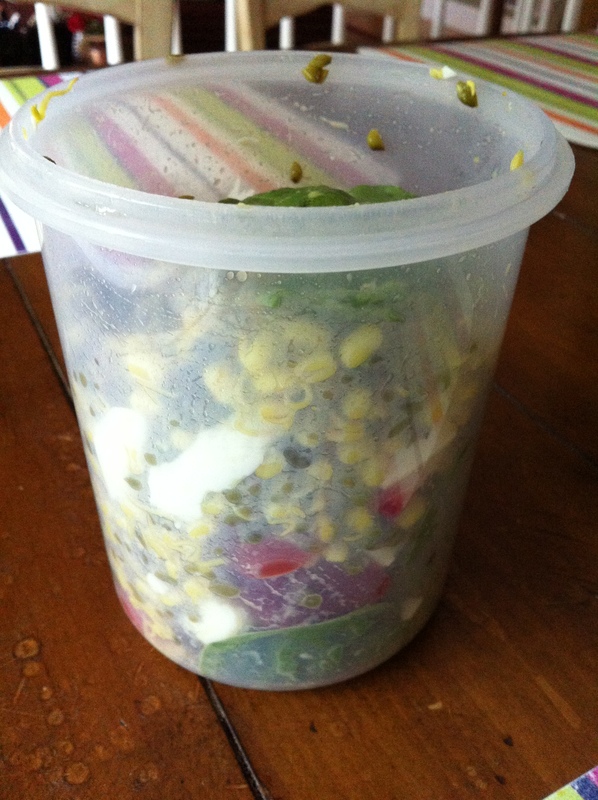 Cook your sprouted mung beans. To learn how to sprout, click here. 2. 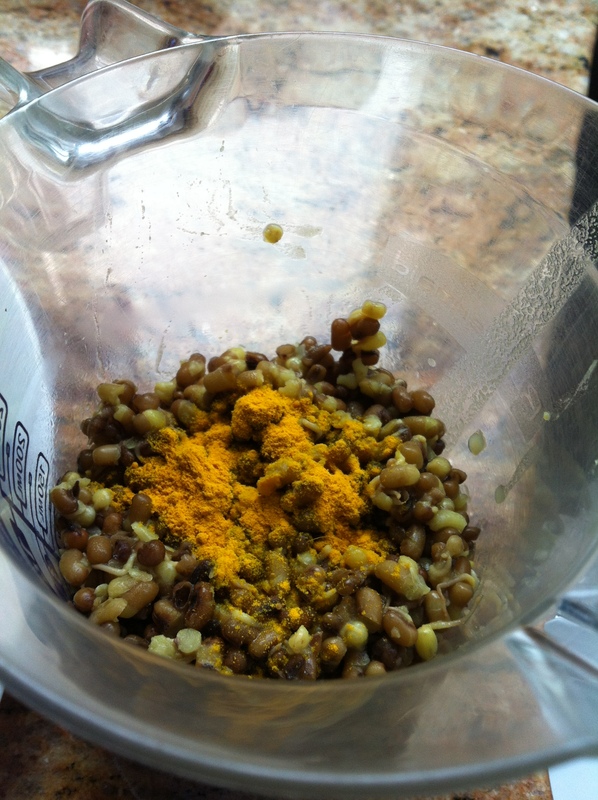 Place the sprouts into your container or bowl and drizzle with lemon/lime, salt, and turmeric powder. 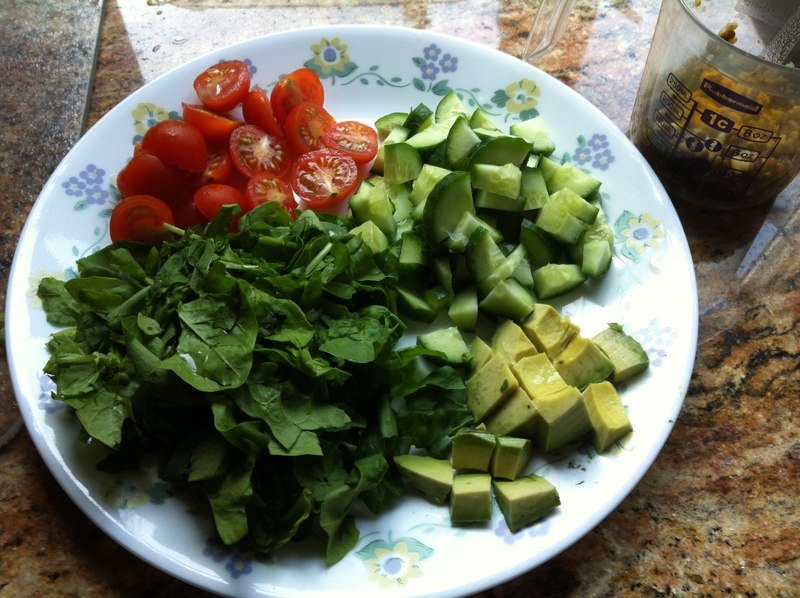 Mix it around so the spices are evenly distributed and enjoy either warm or cold anytime of the day.